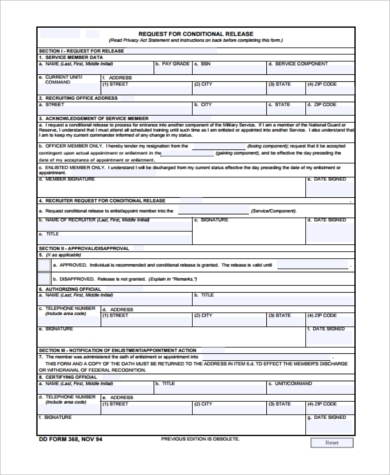 Release Forms are legal forms used as a tool to adjourn any legal accountability between two parties, namely the releasor and the releasee. 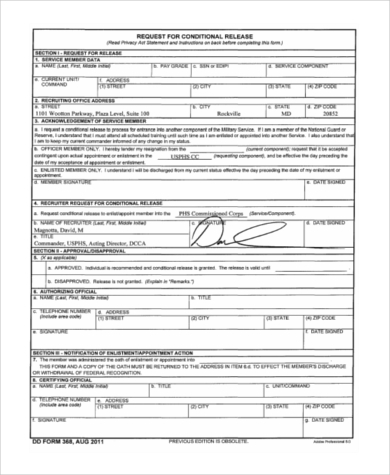 These forms must be signed by the releasor. A Conditional Release Form is a form used when an offender is allowed to go out and live their normal lives but under certain conditions. With or without an assurance, an offender can be released with certain conditions set by the court to guarantee decent and good behavior of the offender. 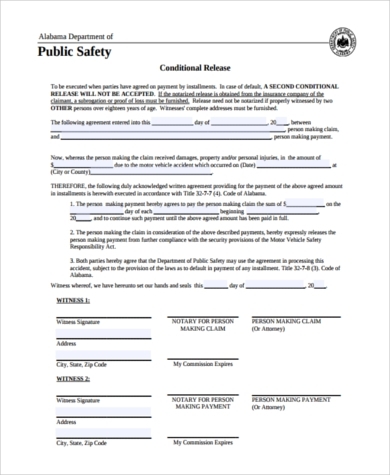 Below are a few examples of Conditional Release Forms that we provided for you to download and use for future purposes. 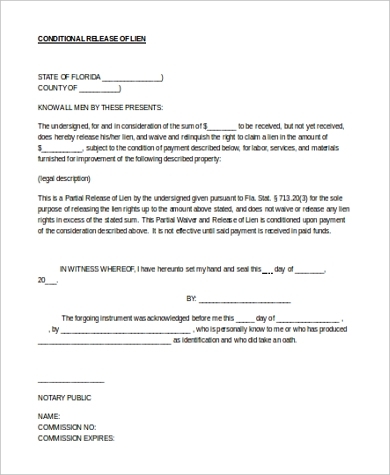 When releasing a lien on a property, Lien Release Forms are usually used. 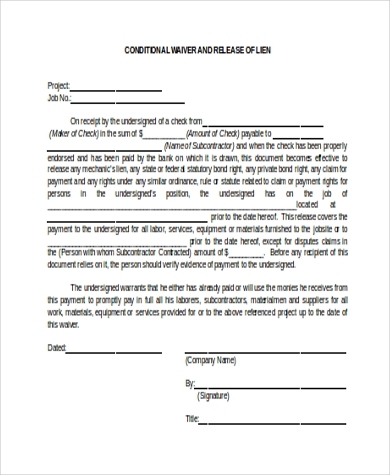 This is usually done when a home lender or a vehicle owner places a lien until the complete and final payments are made. 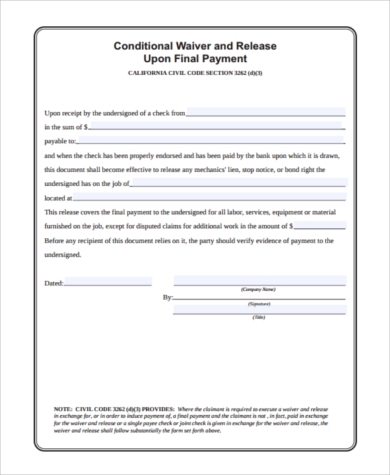 When Can a Conditional Release Be Imposed? There are legitimate grounds for foreseeing that the offender will not commit a crime during the term of a conditional release. The Community Corrections Officer does not need to supervise the offender. What Conditions Are Likely to Be Imposed? Any conditions or demands may be included in a Conditional Release considered essential to keep safe the good behavior of the offender, other than a Community Corrections Officer supervising the offender. During a Conditional Release, the offender may be asked at any time to return to court to confirm that both parties are meeting the conditions of the order. In any case that the offender is not able to return to court, the court has the right to forfeit the money involved/used in the process. 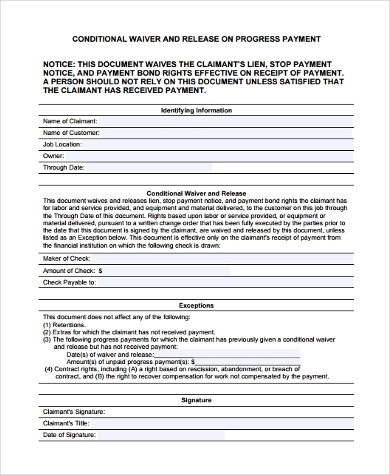 As part of a Conditional Release, repayment or indemnity cannot be imposed. But that doesn’t mean an offender won’t be ordered to pay some sort of refund or to pay any goods. 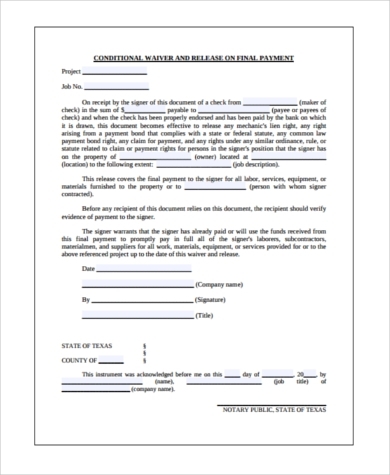 General Release Forms are forms used when it involves one party yielding the right to sue or bring an allegation against another party. How Will a Conditional Release Be Enforced? Taken out of context their situation in court or there have been necessary changes in the situation for which they can’t comply with the requirements of a Conditional Release. If the Conditional Release is terminated for this reason, the court will have to deal with the offender again, in such a way that they have just been convicted. Reoffended, particularly involving a crime with a charge that leads to the terms of imprisonment. Not complied with the conditions; their bad an unethical behavior can be brought to the concentration of the court for up to a year after the Conditional Release is finished. If an offender does breach an order by not abiding by the conditions or by reoffending, they can be fined or dealt with again. An offender may also lose the opportunity of a spent conviction order. 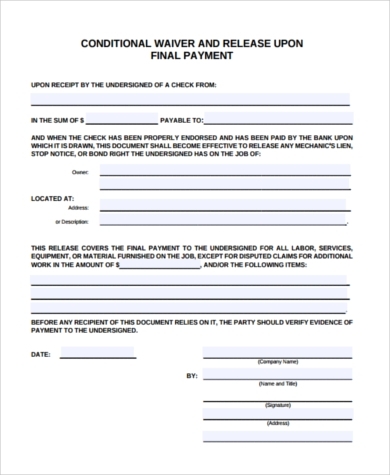 We are glad to provide you with a few samples of Conditional Release Forms that you can download in Doc or in PDF formats.